We've been treatin' days like the weekend, and what better way to treat a Thursday like a weekend than a classic "house" party. 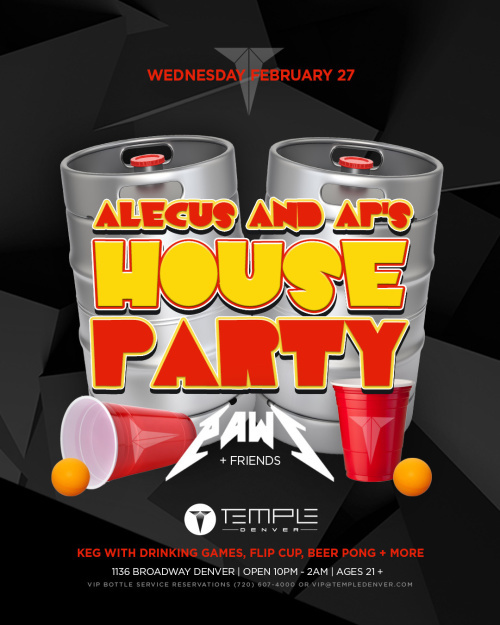 Join Alecus and AP, Temple's resident hosts, on Thursday, February 27th for an evening of all-American drinking games. Gather your friends, head over to Temple Denver and pick your partner to compete in flip cup, beer pong and more. Enjoy live music from Paws + Friends as well as friendly competition. The tables will be running from 10pm-2am (21+ only).